Meanwhile, dirt cheap substances like turmeric and ginger have consistently been found to effectively shrink tumors and combat the spread of cancer. In a review of 11 studies, it was found that turmeric use reduced brain tumor size by a shocking 81%. Further research has also shown that turmeric is capable of halting cancer cell growth altogether. One woman recently hit the mainstream headlines by revealing her victory against cancer with the principal spice used being turmeric. [NaturalNews] A few months ago, a simple breakdown in communication between doctors led to the death of a 12-year-old boy in New York. Approximately 100,000 people die each year as a result of errors in hospitals, according to a decade-old national panel. In addition to breakdowns in communication, patients continue to be harmed or killed by medical shortcuts and inadequate training. Germs and errors combined make going to the hospital the fourth leading cause of death in this country. Other large industries, such as the airline industry, have come to rely on a series of safety checklists that act as a safety net. The Infallible Doctor complex has prevented the medical community from following suit. There are hundreds of cases that have been publicized of a similar nature: unfathomable mistakes (such as operating on the wrong body part) at medical facilities, resulting in ridiculously obvious solutions (identify the correct body part before starting the procedure), that are then ignored or found to be ineffective. The New York boy was sent from the hospital with a raging infection, and neither his personal doctor nor his family were notified of his lab results. Last week, four months after his death, the medical center involved has decided to adopt new procedures in response, such as doctors should be notified immediately of abnormal lab results, and the hospital should call the patient and his doctor if he has already been sent home. Really? This is what they came up with after four months? Has the medical establishment gotten so large, so bureaucratic, that they need to form Common Sense committees and procedurize basic, common communication and human courtesies? It’s not stupidity or maliciousness that leads to the shocking problems in the medical industry. It comes from the culture of an institution. Who owns the responsibility to make sure common sense is observed, that communication happens between collaborating doctors and facilities? Are we ready to demand that doctors realize that they too are human, and need some checks and balances to protect patients, as well as themselves? Cancer is a billion dollar industry. Almost every proposition regarding cancer put on any ballot, passes. With so much money, Big Pharma and their lobbyists in Washington have far too much control and influence on the medical system in America. And their profits depend on America’s ill health. The medical industry went from merely dysfunctional to actually harmful when the Supreme Court ruled on the Citizen’s Untied case, giving personhood status to corporations. Now it reflects the corporate culture of caste system privilege, enslavement to corporate product and profit, along with indifference to the lower classes. Medical mishaps are merely opportunities for more treatment. The Hippocratic Oath, historically taken by physicians, physician assistants, and other healthcare professionals upon completion of their credentials, swears to practice medicine ethically and honestly. It says, in part, that the practitioner swears to “never do harm to anyone.” It goes on to swear against “deadly medicine” and not “cutting for stone” – a.k.a. invasive surgery. How could anyone possibly keep this oath in the current system? What prescription does no harm? What invasive procedure is completely harmless? In a world with a rich history of safe, effective, inexpensive medical alternatives, the establishment seems to think medicine isn’t viable unless it is a synthetic, toxic pill made by unscrupulous pharmaceutical giants. And even with the overwhelming evidence that the medical culture has devolved to be more about money and power than curing illness, we are now required to be a part of the broken, ineffective, dysfunctional mess. The awareness that you and you alone benefit from your own health should motivate you to self-education and exercising your right of personal choice. Medical “science” tries to convince us that there is only one treatment for any given health challenge, but that is simply untrue. But you have to be willing to stand against the authoritarian dissent of the establishment and its followers; go against the flow, and accept the personal responsibility of your own health. It’s either that or get in the chute with the other sheep. [NaturalNews] It is time for the truth to be told about Susan G. Komen for the Cure. The organization is, flatly stated, engaged in fraud. Funded by drug companies and mammogram manufacturers, the organization preys upon women in order to grow its own financial power while feeding female victims into the conventional cancer industry grinder. All across America, men and women participate in “run for the cure” events, raising tens of millions of dollars each year that go into the hands of Komen for the Cure. What these people don’t know is that much of that money is spent on “free” mammograms. Those mammograms, in turn, actually cause breast cancer because they subject women to high doses of ionizing radiation. The Susan G. Komen scam, in essence, is to raise money that’s used to give women cancer and create a financial windfall for the very same companies that financially support Komen in the first place. “The Komen Foundation owns stock in General Electric, one of the largest makers of mammogram machines in the world. It also owns stock in several pharmaceutical companies, including AstraZeneca,” reports Tony Isaacs at NaturalNews (http://www.naturalnews.com/027307_cancer_breast_ACS.html). Komen’s corporate partners include General Mills, Zumba Fitness, Walgreens, The Republic of Tea, REMAX, New Balance, American Airlines, Bank of America, Ford Motor Company, Dell and many more (http://ww5.komen.org/corporatepartners.aspx). The bottom line? Komen deceives women while powerful corporations rake in the profits. This isn’t merely my own opinion. Two prominent doctors, in an article published in the British Medical Journal, have sharply condemned Komen for the Cure for lying about the “benefits” of mammograms. They join a growing number of other doctors and medical professionals who now see Komen for the Cure as a fundraising fraud and are going public with detailed accusations against Komen’s deceptions. It’s sort of like an old-school evangelical group that asks for donations and says you’ll be healed if you just “believe,” but instead of claiming to heal people with the power of faith, the Komen cult claims to heal women with the power of ionizing radiation. In reality, the actual 10-year risk of a 50-year-old woman dying of breast cancer is about half a percent: 0.53% (http://www.medpagetoday.com/HematologyOncology/BreastCancer/34030). In other words, the real risk reduction of dying from breast cancer by receiving mammograms is only 0.07% — seven women out of 10,000. These false alarms often lead to women being treated with deadly chemotherapy cocktails. These expensive drugs enrich the very same drug companies that donate money to Komen for the Cure. This is all part of the cycle of fraud that exploits women’s bodies for profit, all while conducting this sick fraud with the message of “finding a cure,” emblazoned with pink ribbons. The magnitude of the deception in all this is pathological… even criminal. 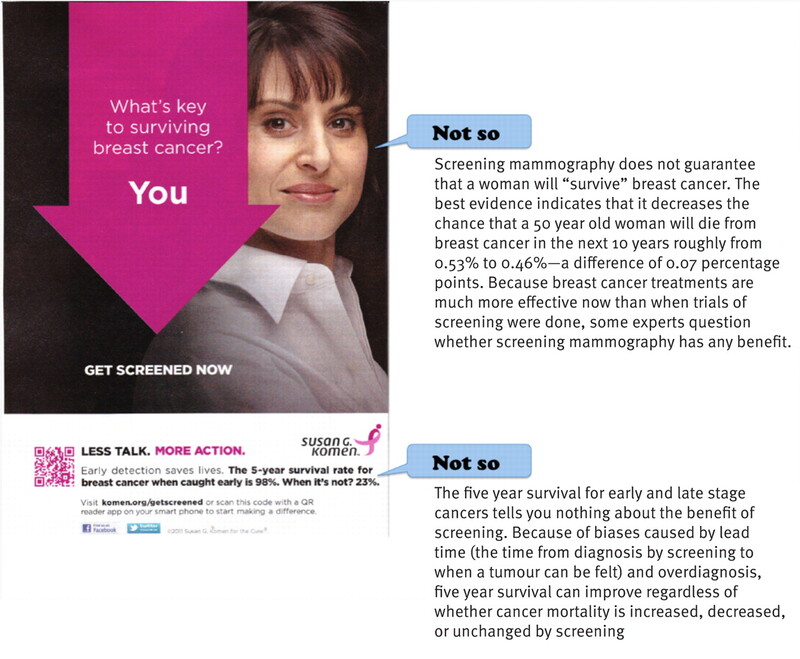 “The Komen advertisement is deceptive in another way: it ignores the harms of screening,” say Woloshin and Schwartz. “Between 20% and 50% of women screened annually for a decade experience at least one false alarm requiring a biopsy. Most importantly, screening results in overdiagnosis. For every life saved by mammography, around two to 10 women are overdiagnosed. 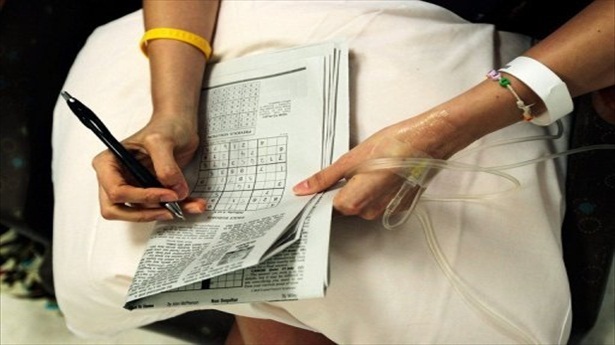 Women who are overdiagnosed cannot benefit from unnecessary chemotherapy, radiation, or surgery. All they do experience is harm,” they write. They tested the effects of a type of chemotherapy on tissue collected from men with prostate cancer, and found “evidence of DNA damage” in healthy cells after treatment, the scientists wrote in Nature Medicine. Chemotherapy works by inhibiting reproduction of fast-dividing cells such as those found in tumors. Rates of tumor cell reproduction have been shown to accelerate between treatments. It’s no secret that berries of all kinds have numerous nutritional benefits—mostly due to their antioxidant concentration. The benefits of blueberries, for example, include lowering blood pressure and protection of the heart and liver. But a more obscure berry and fantastic anti-cancer food—black raspberries—may be effective at preventing numerous types of cancer, including colorectal. According to a study published in the journal Cancer Prevention Research, mice were “engineered” to have intestinal tumors (a troubling thought). These mice were then fed a high fat, low calcium and vitamin D diet, referred to as a “high risk diet” over the following 12 weeks. Some of those mice were given a supplement so that 10 percent of their calories came from black raspberries. Showing how black raspberries is a great anti-cancer food, the mice who were given the black raspberry addition had fewer tumors than those who were not. The growth of new tumors in these black raspberry mice decreased by 45 percent and the total number of tumors went down 60 percent. Another group of mice, who was engineered to have intestinal inflammation, saw a similar decrease in new tumors and number of tumors by about 50 percent. The black raspberries actually reduced inflammation. According to researchers, in order to have the same amount of black raspberries in your diet, you would have to eat four cups of fresh berries each day. While that’s a lot, there’s a good chance that even having a single cup each day could provide some benefit. Like scientists point out, these mice were made to have cancer, the human body is not, so you wouldn’t likely have to gorge yourself on them to have positive cancer-preventing benefits. In addition to colorectal cancer, berries have also been shown to stop the cellular changes that lead to cancer. They’ve also been shown to stop the growth of esophageal tumors. Because they can lower inflammation as well, researchers say it’s highly possible that they can protect against inflammatory diseases like cardiovascular disease. The study, published in August 2008 in “Cancer Research” also found these berries are a great anti-cancer food, as compounds in black raspberries affect hundreds of genes so that cancer can’t as easily spread. Mice exposed to UVB radiation were less likely to develop skin cancer after being lathered in a gel containing black raspberry powder. For more on the amazing benefits of berries, check out the health benefits of strawberries, and how cranberries are one of many fantastic winter superfoods. [NaturalNews] Curcumin is one of a small number of super nutrients which has the demonstrated ability to dramatically lower the risk from cancer, heart disease and Alzheimer`s disease and has been shown to influence the storage of body fat by altering fat metabolism. Curcumin is a natural polyphenol which is extracted from curry powder and has powerful antioxidant and anti-inflammatory properties. You can experience a multitude of health benefits by eating the spice in its natural form or by supplementing with a concentrated extract of active curcuminoids.